The 401(k) loan payment won't be taken out of the paycheck until July 1, so we were able to increase our payment to $200 on National City this month! YEAH!! We are hoping once the loan payment comes out we can continue doing this……. It is nice to see some balances coming down…..
We are just trying to stay on track and see the big picture at the end…BECOMING DEBT FREE!!! The cost of gas and groceries going up is impacting our budget some…but we are shifting things around so that INCOME – OUTGO = EXACTLY ZERO……we couldn't live without the budget sheet!!! It helps us out TREMENDOUSLY!!!!! Have you taught any of your friends/family this stuff? If you have, how did it go? 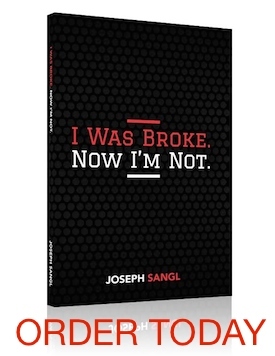 My husband has shared this with several co-workers who were excited about it….he gave them the website JoeSangl.com so that they could learn more about it. Couple #3 is in position to make dramatic debt reduction. Will it happen? Let us watch and see! If you have debt, what steps do you need to take to position yourself to make dramatic improvements to your debt situation? What will it take to make you take those steps? Read previous Debt Freedom March updates HERE. Congrats and keep up the good work! I see your “months” have gone down again and I bet that feels great for you! Thanks for sharing!